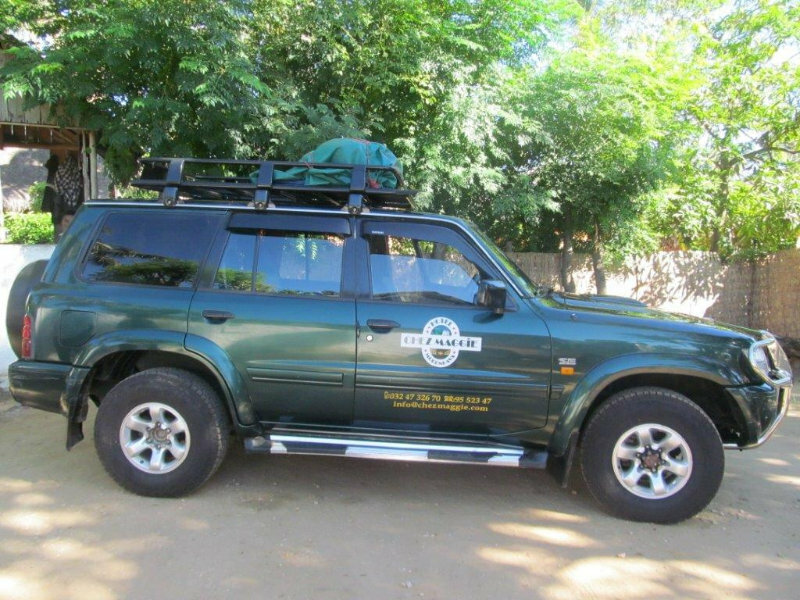 Private Departures: Most of our itineraries are available throughout the year as private departures for individuals, small groups, and families. Customize / Personalize: All our programs may be modified to suit your travel dates; how much time you have; interests and budget. If you have other areas or activities of interest please let us know. We're happy to work together to design just the right program and experience for you. 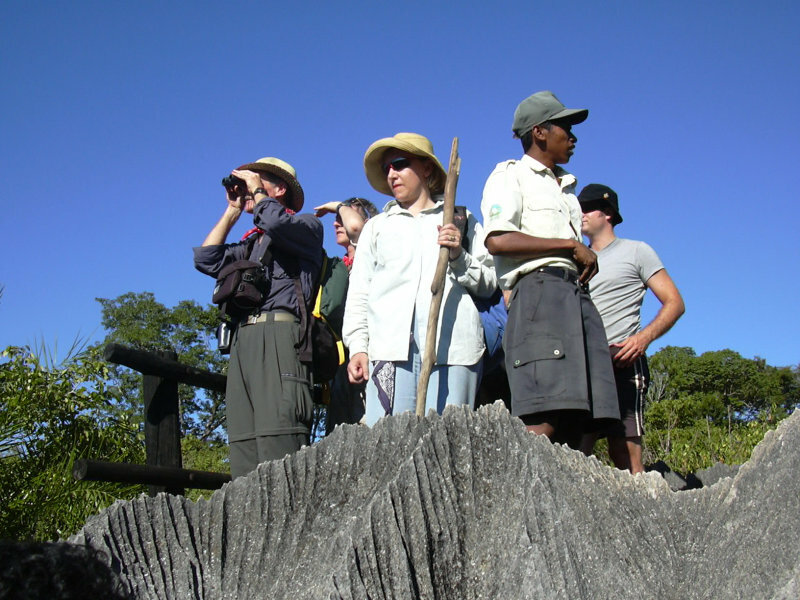 Guides: We have expert naturalist guides fluent in English, French, German, Spanish, Japanese, Italian, Portuguese and Malagasy languages. For the most part the programs below are fully inclusive upon arrival in-country. 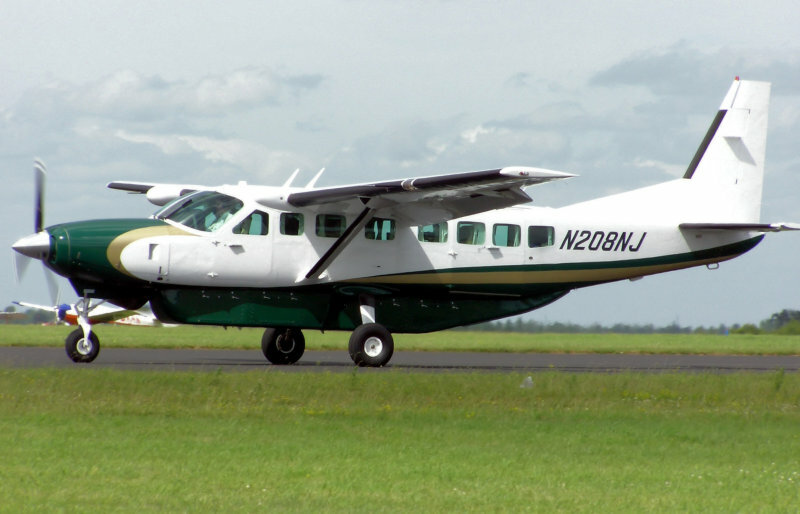 Some scheduled departures require a minimum number of travelers or a small group surcharge. Scroll down for more details. And for more information contact RRE and click on the underlinded links below. 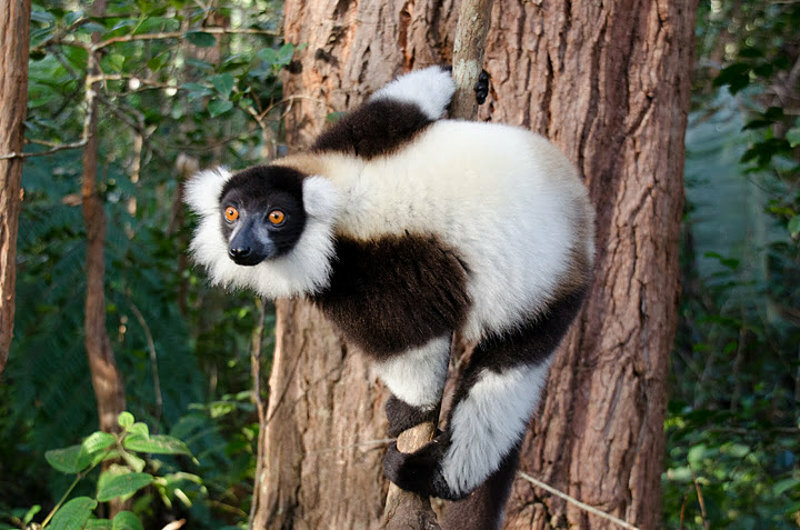 Share the wonders of Madagascar's National Parks, Wildlife and the unique Malagasy Culture with top quality naturalist guides. 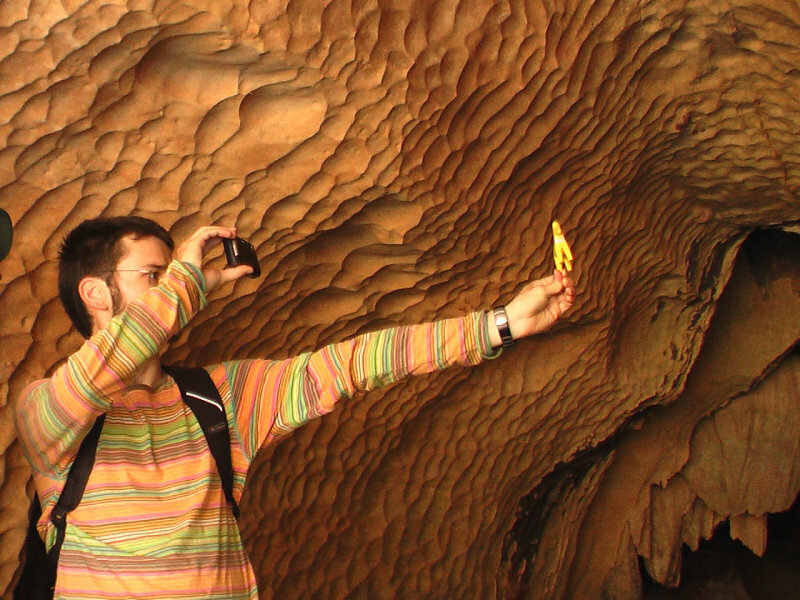 Personalized itinerary planning for all interests and budgets. Luxury National Route 7 ~ In Style! Custom itinerary highlighting the great variety of areas visited during the filming of the new IMAX® 3D documentary. An amazing variety of unique activities and ecosystems. A World heritage Site for good reason! 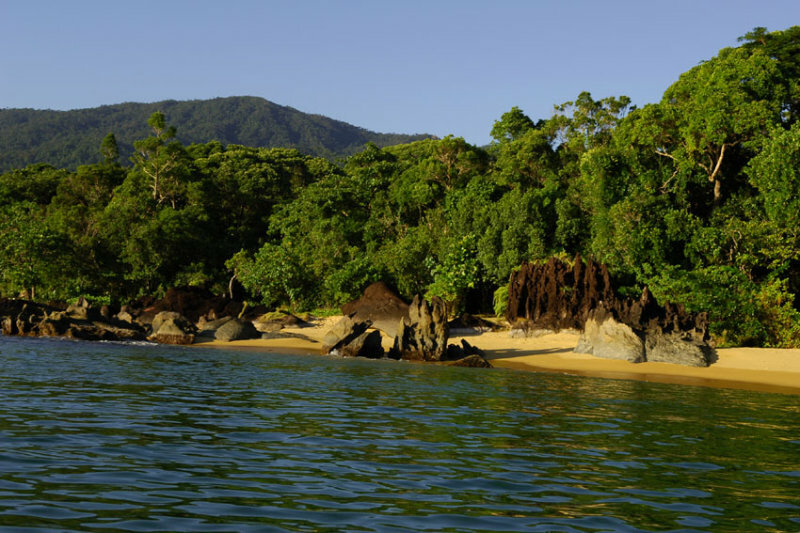 This is Madagascar's largest reserve (152 000 hectares. 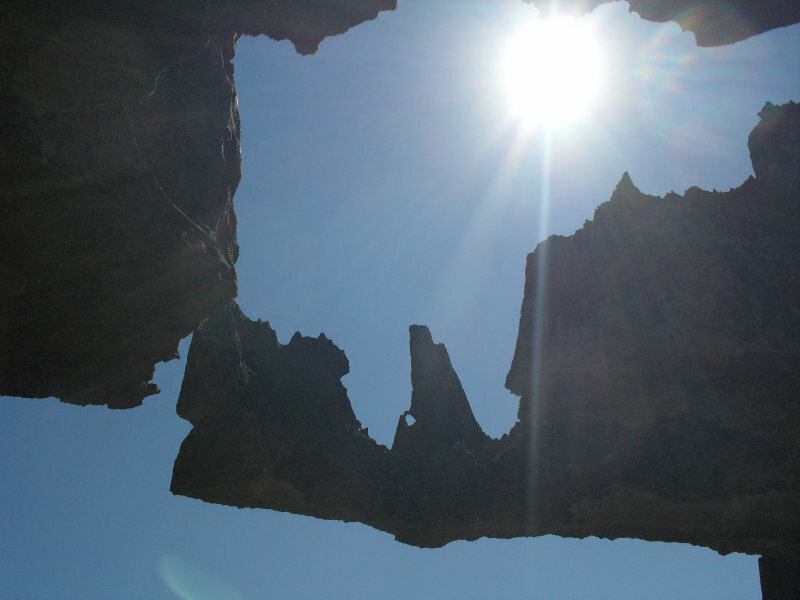 ), classified as one of the world wonders by UNESCO. 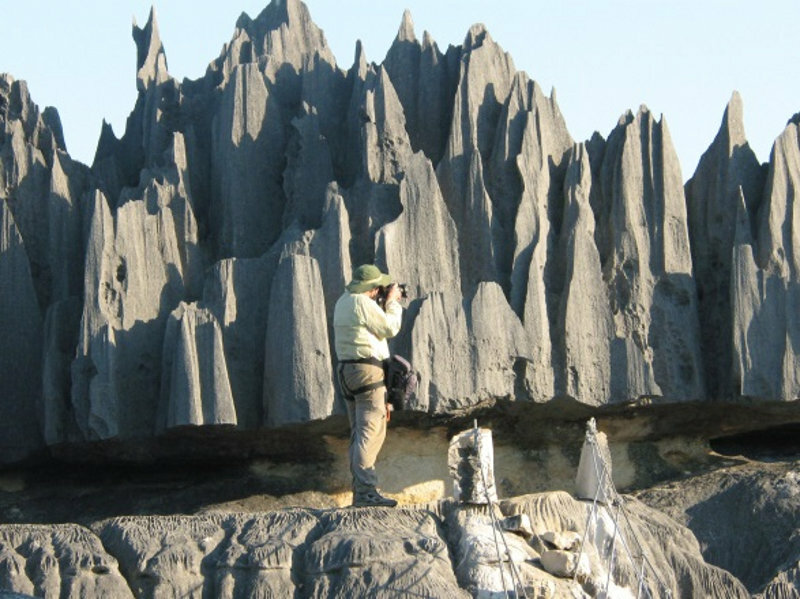 The fascinating raised limestone plateau is decorated with a frail, chaotic razor-sharp collection of pinnacles, the "Tsingy". 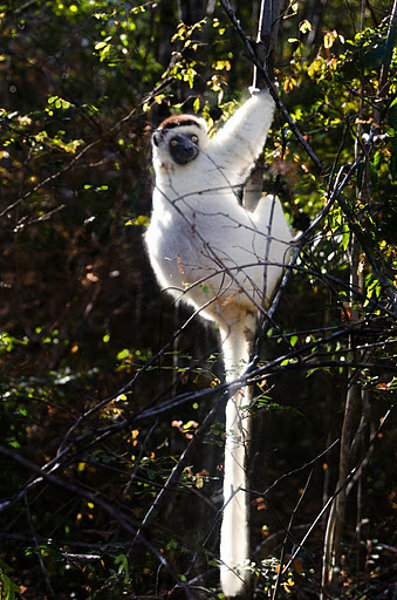 Areas of deciduous forest also provide the chance to see brown lemurs and a variety of birdlife, we may also meet the rare all white Decken's sifaka. 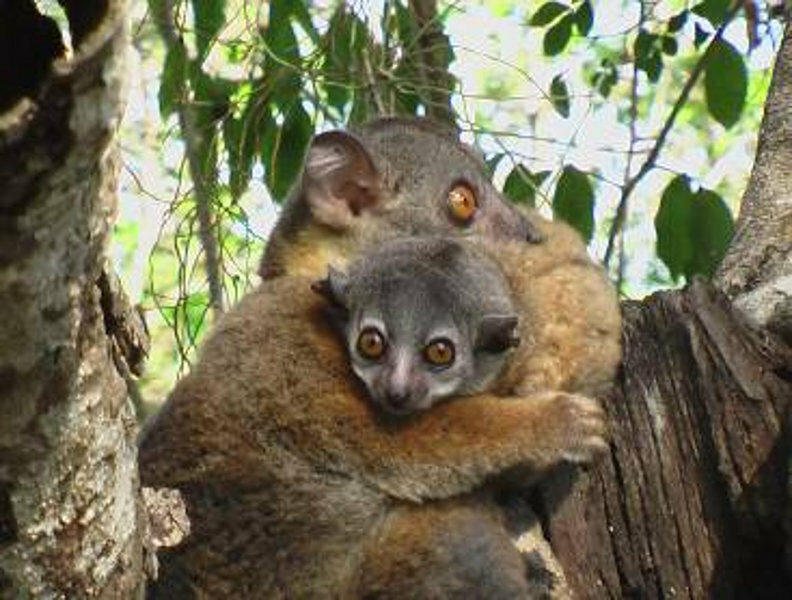 The 25,000-acre Kirindy Forest has the greatest density and diversity of primates in the world. 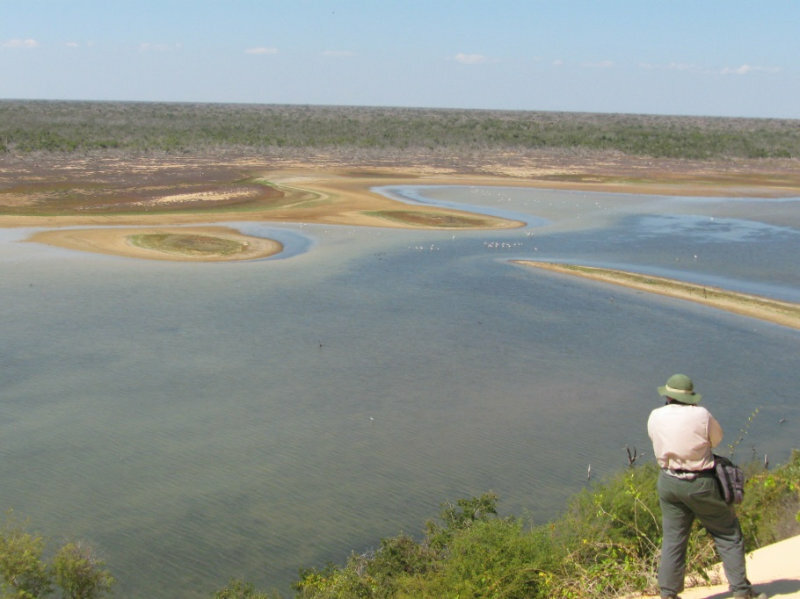 Probably the best western reserve for seeing Madagascar's endemic dry forest species including the fossa, and the giant jumping rat, found only in this area. Dominated by majestic baobab trees, the forest is home to the worlds smallest known primate as well as dozens of amphibian and reptile species (none poisonous). 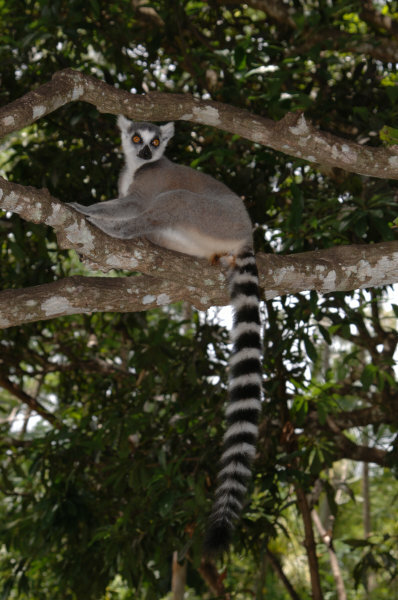 As well the forest boasts more than 60 species of birds and 8 lemur species. 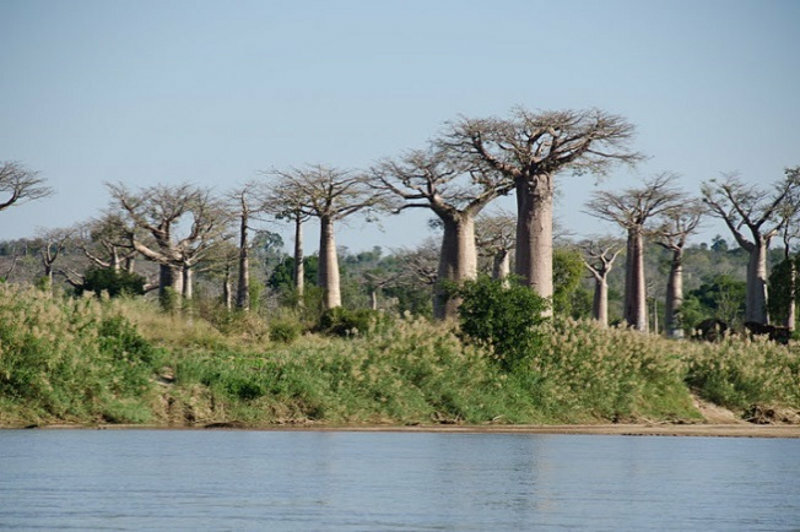 The world famous Avenue of the Baobabs is an extra-ordinary stand of huge baobab trees. 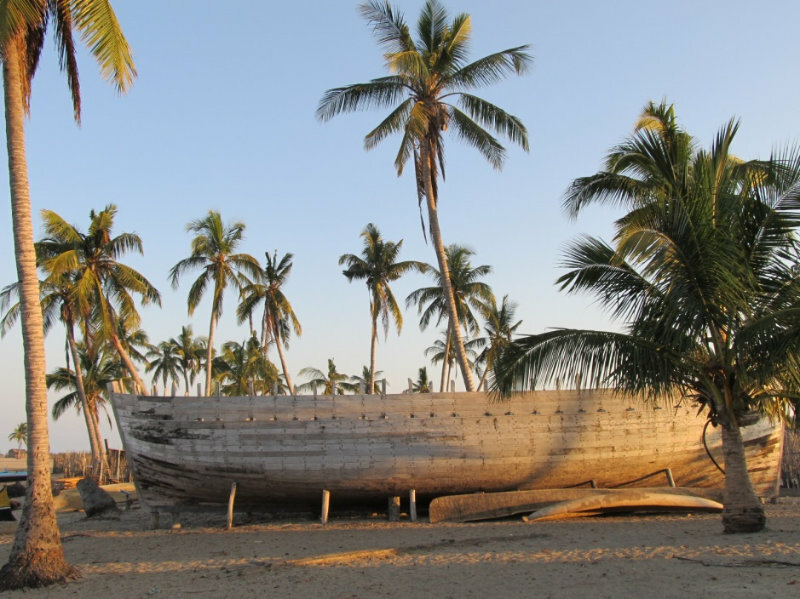 Located 45 minutes north of the town of Morondava on Madagascar's west coast it is one of the most visited sites in the Menabe Region. 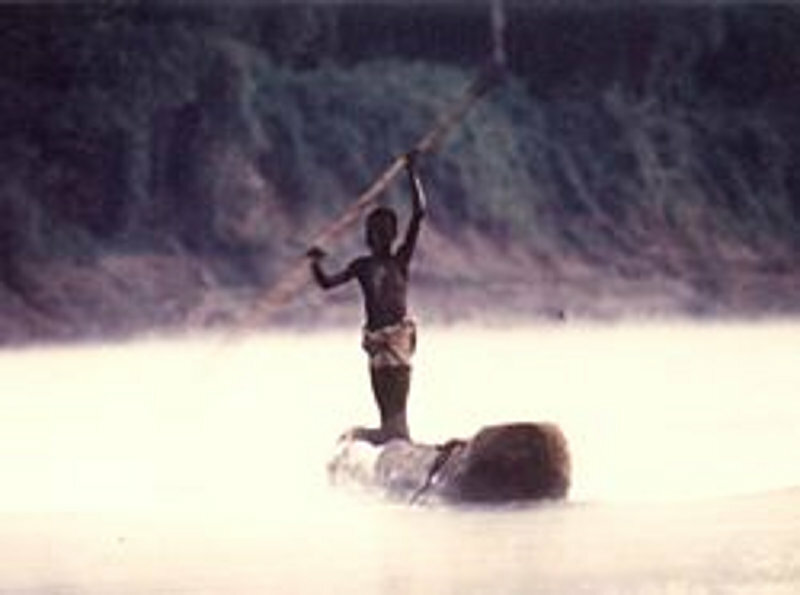 A candidate as one of the 7 Wonders of Africa; efforts are underway to protect this unique grove of more than a dozen trees. 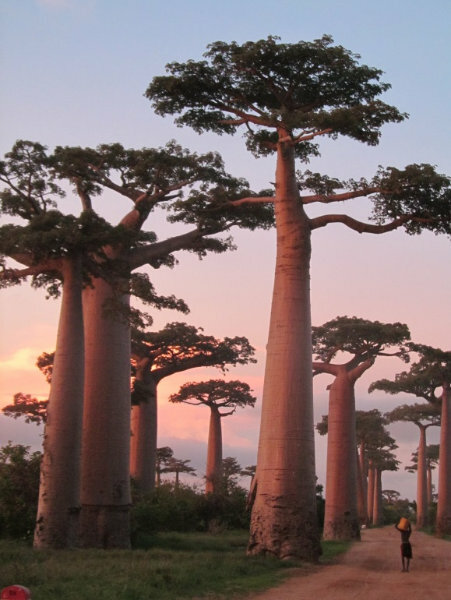 Some of the trees (Adansonia grandidieri) are over 800 years old and reach a height of 30+ meters. 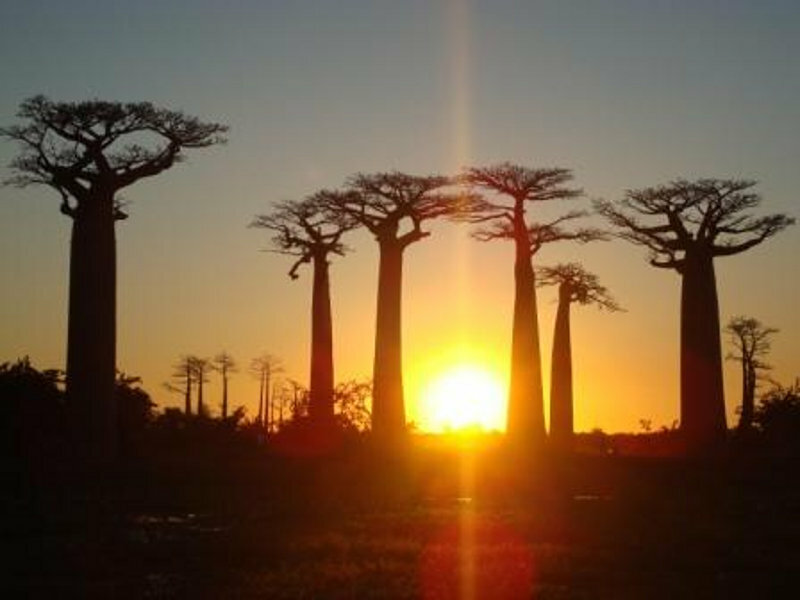 The Avenue of the Baobabs is a photographers paradise and especially beautiful at sunset. Where the West and South ecosystems meet! The picturesque village of Belo sur Mer is home the Vezo boat builders where the craftsmen construct traditional 'boutry' the large masted cargo and passenger sailboats which ply the waters of the west coast. Snorkeling and fishing at the offshore islands is excellent! Around the Great Red Island in 13 Days! A truly unique way to explore this amazing country. Luxury & Adventure at its finest! East Meets West ~ Contrasts of the Great Red Island! Discover the best of both coasts: the exotic rainforest of the east and the unique flora and fauna of the dry western forest. 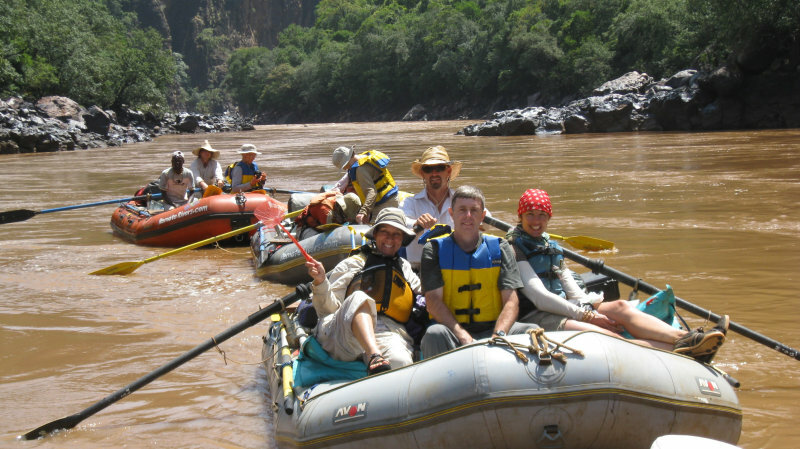 Guide Service: Our elite guide staff includes many top level professionals with years of experience. 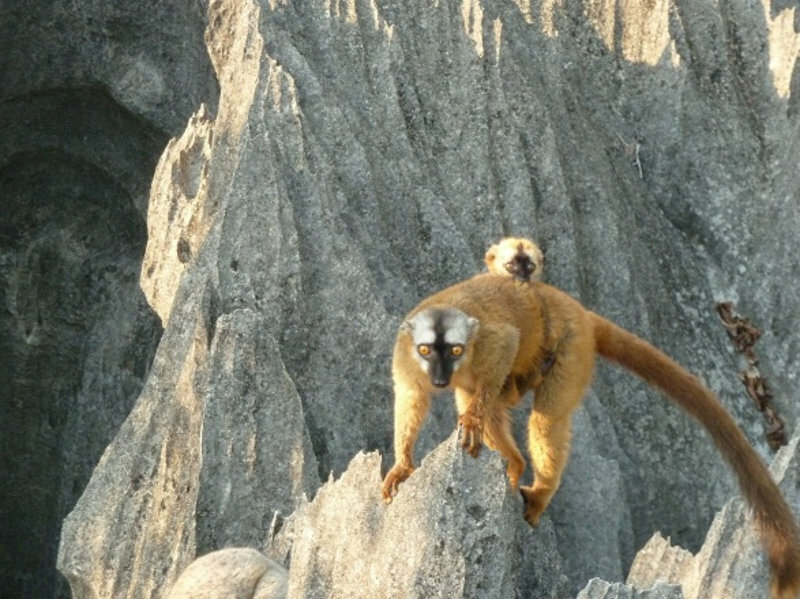 All are passionate to share their extensive knowledge and love for Madagascar in a personal and straightforward manner. We always do our best to match our clients with just the right guide according to your interests. 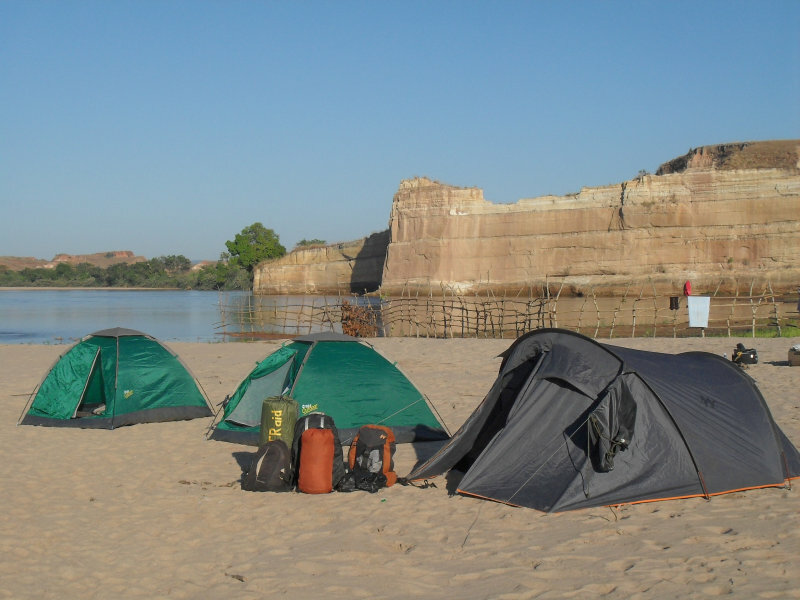 Escape to Western Madagascar - Manambolo River! An Overview of the Great Red Island. 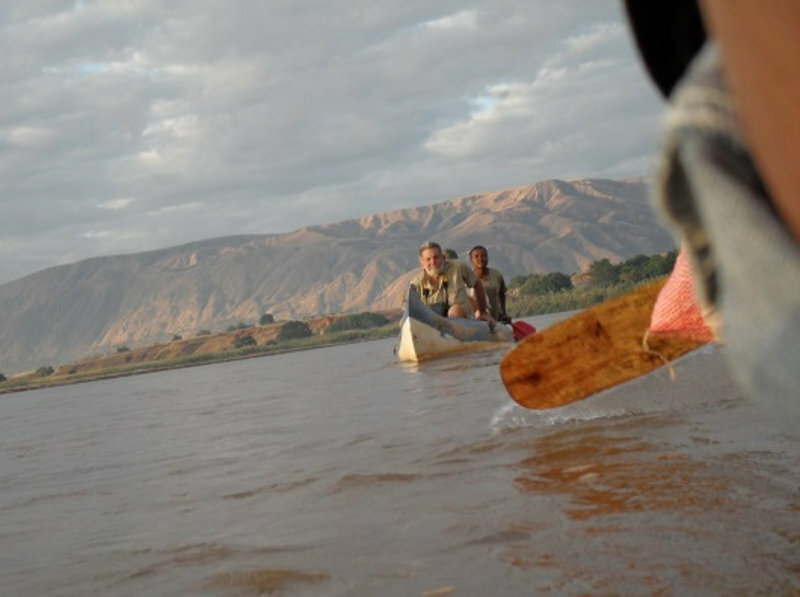 A remote canoeing journey into the heart of western Madagascar. A great relaxing Family Vacation! 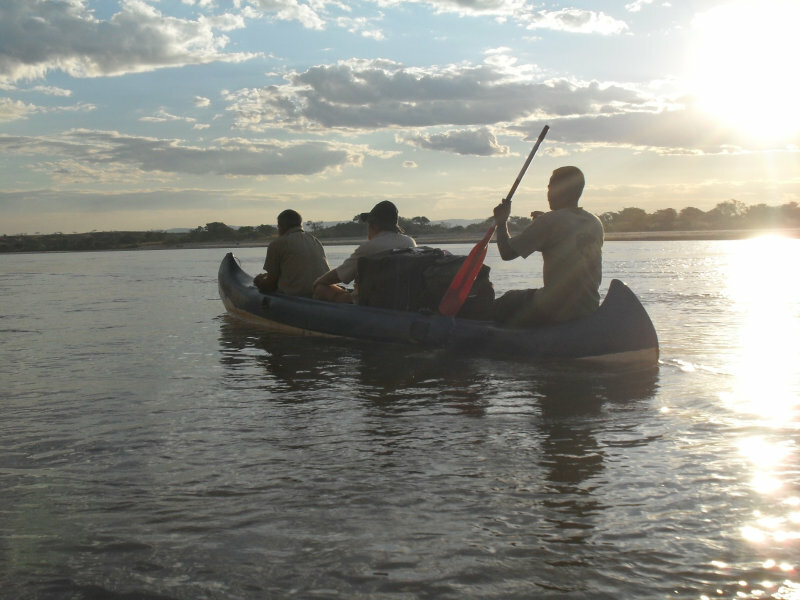 More than a world class river journey! A comprehensive look at the Great Red Island. 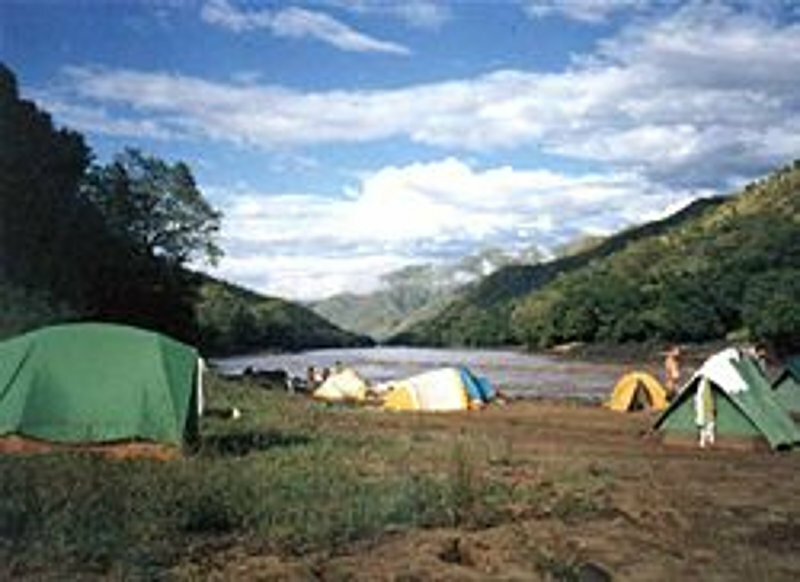 On the tranquil Mangoky River we enjoy a relaxing and truly remote camping experience. 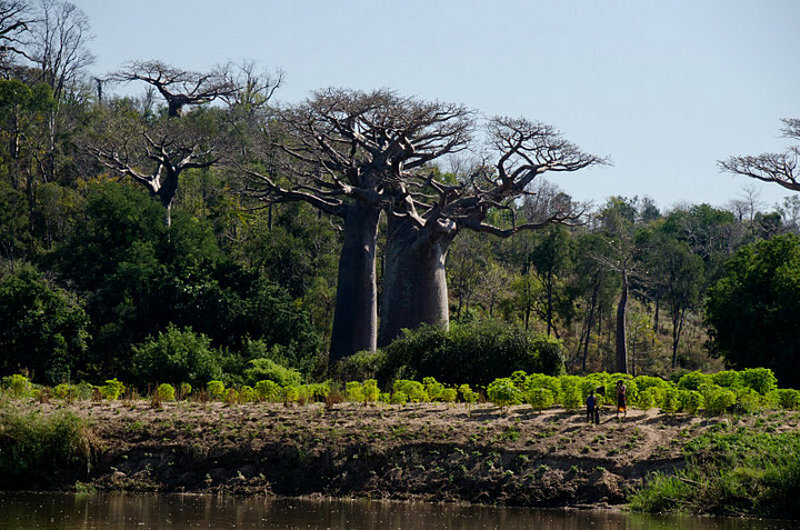 Floating past the world's largest baobab forest we enjoy a variety of endemic Malagasy flora and fauna. Great food, great company in a seldom visited region of the island. 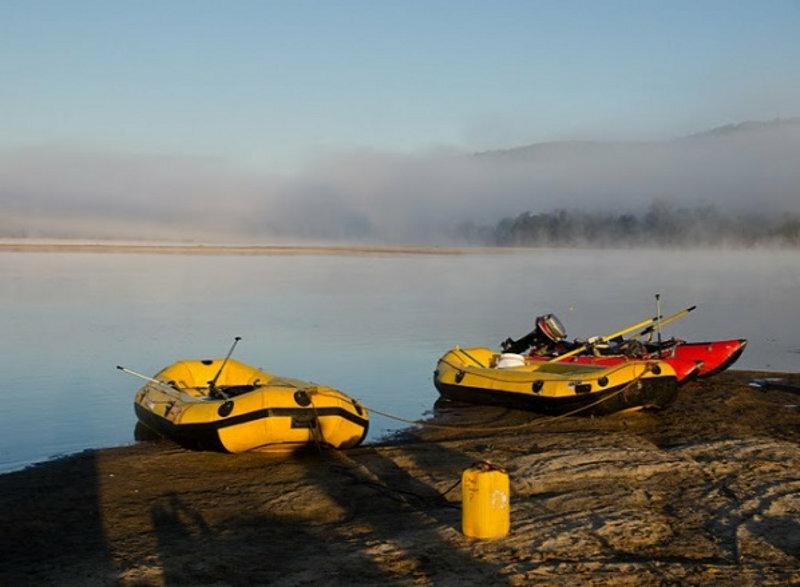 Long known as one of the world's best rafting trips. 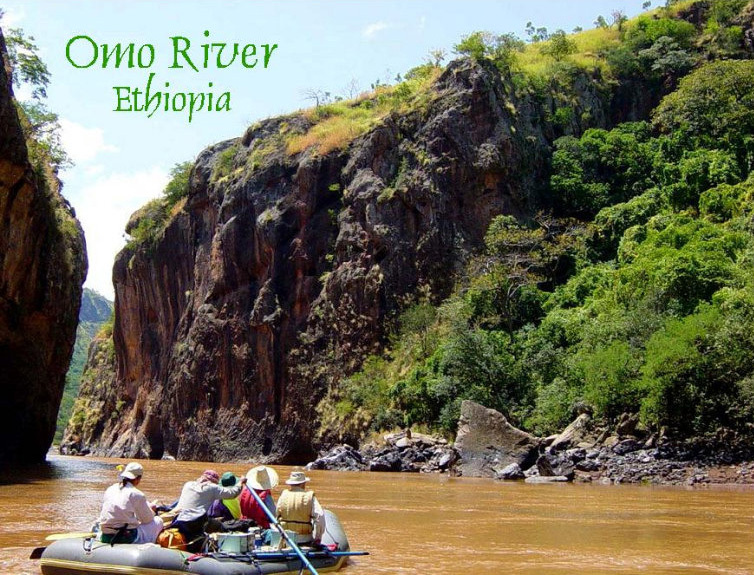 Ethiopia's Omo River has it all: exciting rapids; great campsites; beautiful scenery; hot springs; good birding; abundant wildlife; and some of the most unique and unvisited people in Africa. If you're interested in joining please let us know and we'll keep you updated. 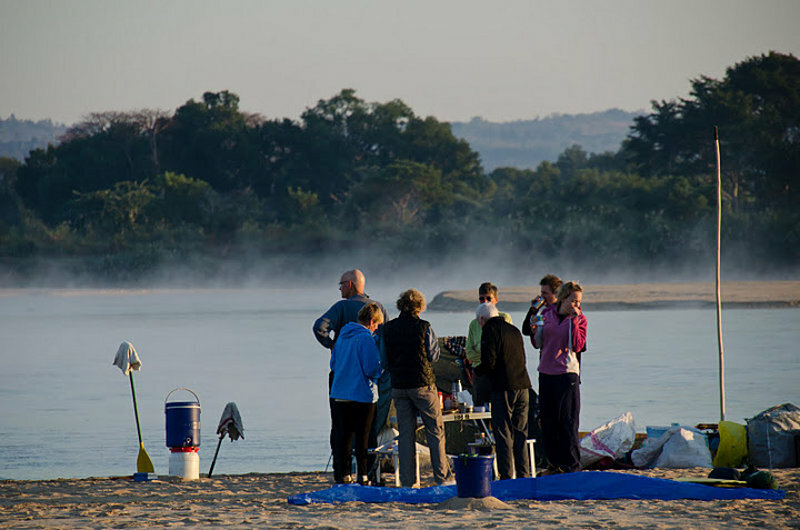 Rufiji River ~ A Unique Floating Safari! 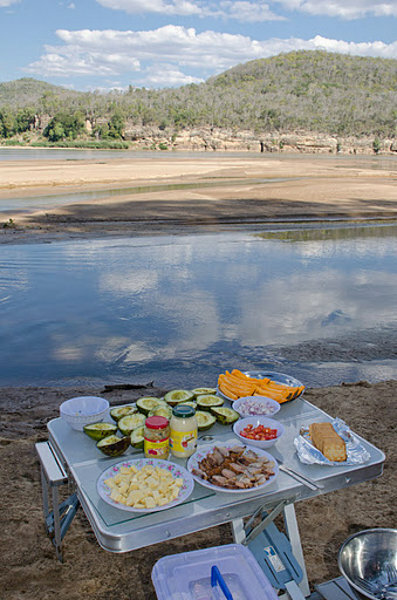 An exceptional calm water rafting safari combining wildlife viewing, daily game walks and wilderness camping in Africa's largest protected area, the wild and wonderful Selous Game Reserve. Excellent birds, a full variety of African big game along with a nearness to nature and wildlife impossible to find anywhere else. 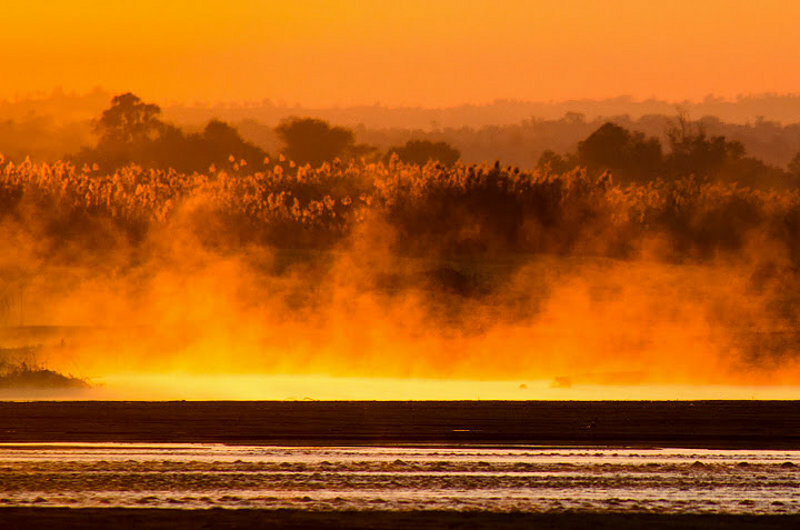 The Selous' more than 18,000 square miles is home to vast numbers of wildlife, including the continent's largest remaining elephant population.